In what seems like a lifetime ago, General Anakin Skywalker of the Galactic Republic, and Commander Mitth’raw’nuruodo, officer of the Chiss Ascendancy, crossed paths for the first time. One on a desperate personal quest, the other with motives unknown...and undisclosed. But facing a gauntlet of dangers on a far-flung world, they forged an uneasy alliance - neither remotely aware of what their futures held in store. Deux histoires pertinentes et bien ficelées qui se déroulent en parallèle. Mais c'est la performance de Mac Thompson qui est le plus incroyable, il m'a fallu aller vérifier si ce n'était pas lui qui doublait Thrawn dans la série Rebels (ce qui n est pas le cas). L'ambiance sonore prend parfois le dessus sur le texte, mais cela reste assez rare. J'ai dévoré ces deux tomes en moins de 10j. I loved the first of the new Thrawn books. I thought that was excellent. Thrawn Alliances, however, two parallel stories, neither I cared about. I was pretty bored throughout. Maybe they're setting something up bigger, but by itself Thrawn: Alliances was just ok at best. 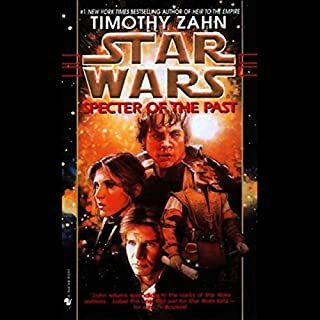 Timothy Zahn writing Thrawn should be a slam-dunk, but everything about it was just kind of dull. I think Thrawn and Vader/Anakin just didn't pair well together. Together they held their characters back rather than elevating them. Basically, I saw the first book, like a Star Wars movie. A Star Wars movie I'd want to watch again. Thrawn: Alliances was like an episode of Star Wars: Rebels. It can be enjoyable, but on a completely different scale. So you just kind of have to go in with the right expectations. I loved the first of the two new cannon Thrawn novels but this one felt forced and boring. I also felt that Vader was not true to character and didn't play a believable role. Pretty disappointing considering how good the first was. Go listen to the first Thrawn book. That one was great. This one is disappointing. I'm in the middle of my second listen, and I've lost the motivation to continue. It's just not very engaging. Star Wars is about high stakes battles between good and evil. There isn't any point in the book where the stakes get high and you feel like the protagonists are about to lose control of the situation (except perhaps the very end but it isn't much of a climax). At most, the protagonists just meet a series of roadblocks that they overcome. Listening to this the second time, I just feel bored. Thrawn is one of my favorite Star Wars characters, but I feel like he shines best when he is contrasted with a mentee who struggles to comprehend Thrawn's machinations. He needs a character like Pellaeon, Car'das, or Vanto to teach. Both Anakin and Vader feel like equals to Thrawn, and both Vader and Anakin only begrudgingly learn things from our favorite Chiss. Also, the whole journey out into the unknown regions seemed kind of pointless. I never felt like there was much of a threat out there. 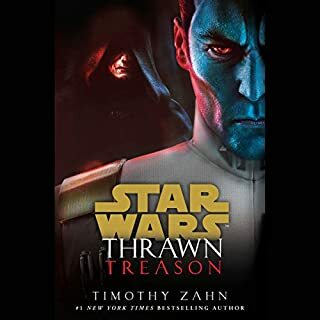 Thrawn consistently said there was a threat, but I don't think Zahn does a good job of explaining how the "threat" would cause problems for The Empire. It felt like Zahn was violating the rule of Show Don't Tell. As usual, Mark Thompson does a great job of narration. The production value is great; it's just not enough to save the book. Enjoyed this almost as must as the first Thrawn book. There was only one thing that bothered me and that was the voice the narrator used for Anakin. He sounds like Keanu Reeves. a very meh storyline over all. There is one nugget of oh that's cool moment in the whole thing. I mostly just hate Anakin for his endless edgy bitching and lack of over all wit. I almost feel bad for Palpatine, it is indeed hard to find good workers. 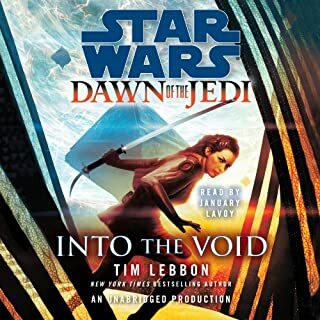 I can't believe that I am going to say this about a Star Wars novel written by Timothy Zahn that features Thrawn as a main character but I just could not get invested in the story. In particular, I found the section that took place during the Clone Wars to be a chore to get through. I liked the Thrawn/Vader story a little bit more but not much. While I can't put my finger on the entire reason that it just didn't work for me I think the fact that Imperial infighting has been done so much in the new canon didn't help. 'A New Dawn', 'Tarkin', 'Lords of the Sith', nd the first 'Thrawn' novel all featured Imperials with competing interests as part of the plot. It is starting to feel like the Rebel Alliance should have just waited the Empire out and fight among itself to its destruction. If I can point to something I did like in the story it would be the sections where we followed the Storm Troopers as they worked together as a team. That was fun to see, capable troopers did indeed exist in the Empire. Marc Thompson is a hero. 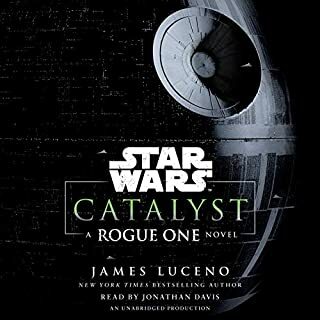 This is hardly the first Star Wars novel that I have only managed to finish due to his amazing performance and talent and I am quite confident, though saddened as well to know that it won't be the last. Maybe my expectations were too high. Maybe I will listen to this one again in a couple years and appreciate it more. But for now, it is just okay and I don't feel like I would have missed much if I had skipped it entirely. 42 sur 53 personne(s) ont trouvé cet avis utile. I loved it! Disney would be wise to hire Timothy Zahn when they decide to bring Thrawn to the big screen. Timothy is Thrawn and he knows. Job well done both to Timothy Zahn and the ever-talented Marc Thompson! TZ is an excellent author, and his skill for storytelling is evident in this book. That said, this is his weakest Star Wars story. way too much time spent on characters like Padme. I will buy a future Thrawn book, but I hope it is better than this installment. Mark Thompson usually does a great job at the voices but was not very impressed with Anakin Skywalker voice. Also the switching between past and present was annoying. Overall the book wasn't bad but I was disappointed. I expected more from a book that was focusing on two of the best Star Wars characters working together. Timonthy Zahn Doing it again! The story gives answers to many unsolved mysterious between Grand Admiral Thrawn and Darth Vader. 19 sur 26 personne(s) ont trouvé cet avis utile. Story is ok but nothing thrilling. I personally enjoyed the first thrawn book much more. The combination of Vader and Thrawn seems forced. Didn't enjoy too much the splitting into two stories, once clone wars era with Anakin and now-time with Vader. Though Marc Thompson is a great reader, his Anakin character sounds weird to me and different from what I would have expected. In sum ok to read but not the strongest story. looking forward to upcoming books by Timothy Zahn. Vorab: Ich bin einer der größten Fans der Thrawn Saga seit "Erben des Imperiums" in den 1990er Jahren! Ich habe "Die dunkle Seite der Macht" genauso verschlungen wie "Das letzte Kommando" und liebe sowohl Thrawn als auch Rukh, sozusagen bis zum letzten Atemzug :) "Die Kundschafter" ist immer noch einer meiner absoluten Lieblingsromane und der vorherige "Thrawn"-Toproman ist der absolute Hammer. 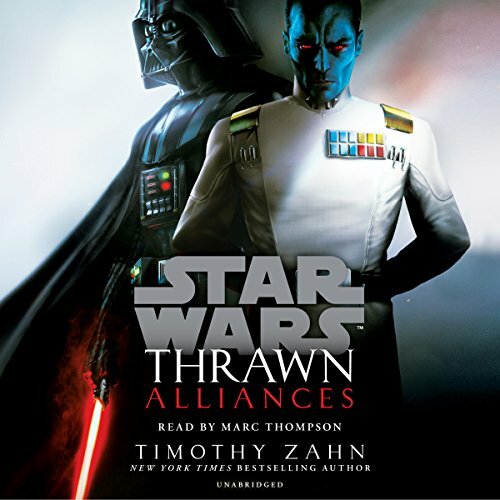 Sowohl Thrawn als auch "Alliances" habe ich mir sofort hier als Audiobook geholt weil ich mit meinen recht guten Englischkenntnissen die Geschichte erleben wollte bevor das übersetzte Buch in Deutschland erscheint und ich alles nochmal nachlesen kann (und spannenderweise die Kleinigkeiten herausfinden die ich im Englischen nicht ganz verstanden habe). 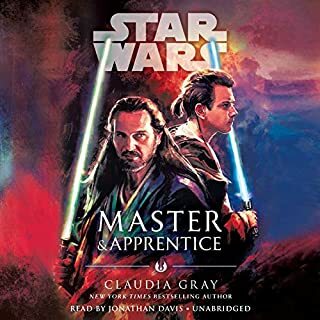 Wie "Thrawn" auch ist dies ein hervorragend gelesenes/gesprochenes Audiobook. Aber was bei "Thrawn" noch ein akzeptierbarer Makel war wird hier zu einem echten Problem: Ich finde die Idee von Disney, weitaus mehr Protagonisten, auch hochrangige Personen wie die Kapitänin, mit Frauen zu besetzen, hervorragend! Allerdings sollte man dieser Tatsache dann auch mit entsprechenden SprecherINNEN Tribut zollen, denn die "kratzig weibliche" Stimme der "Chimäre" Kommandärin ist einfach UNAUSHALTBAR. Damit meine ich die selbe "Stimmlage" des Lesers, die bei "Thrawn" in den Szenen von Aritha Pryce noch ganz okay war. Ich habe dieses Audiobook nun seit 2 Monaten in der Bibliothek und ich suchte regelrecht nach der Geschichte. Dennoch konnte ich es noch nicht zuende hören, weil gefühlt ein Viertel der 11 (!) Stunden mit dieser schrecklichen "Aritha"-Stimme "gelesen" werden wobei sich mir immer die Fußnägel hochrollen und ich sogar wenn ich beim Hören eingeschlafen bin wieder aufwache weil ich dieses "Geräusch" einfach nicht aushalte". 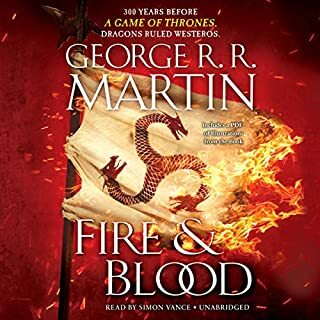 Also ein TOP Audiobook welches ich leider nicht zuende hören kann weil ich diese männliche aber "absolut schlecht gespielte weibliche" Stimmte des Vortragenden an sehr, sehr, leider ZU vielen Stellen einfach nicht ertrage. Hier wäre eine zweite LeserIN Gold wert gewesen und hätte das Werk auf ein ganz neues Level gehoben. Hoffentlich nimmt sich der Verlag diese Kritik für die nächsten Werke zu Herzen. Wie gesagt, ansonsten Top, Thrawn at its best! Great premise. Not so great execution. Reading 'Thrawn: Alliances' was interesting. Seeing Thrawn and Darth Vader together in a mission was very exciting. The story moves well. Although the continuation of it lacks pace. The change of time sequences is not disturbing. The interaction between the two main characters is very well executed. The performance by Marc Thompson is great, as usual. Interested to hear or read another book from Thrawn in the new canon.